The holiday season is a time of rest for most people, but for the logistics industry, it is the busiest time of the year. 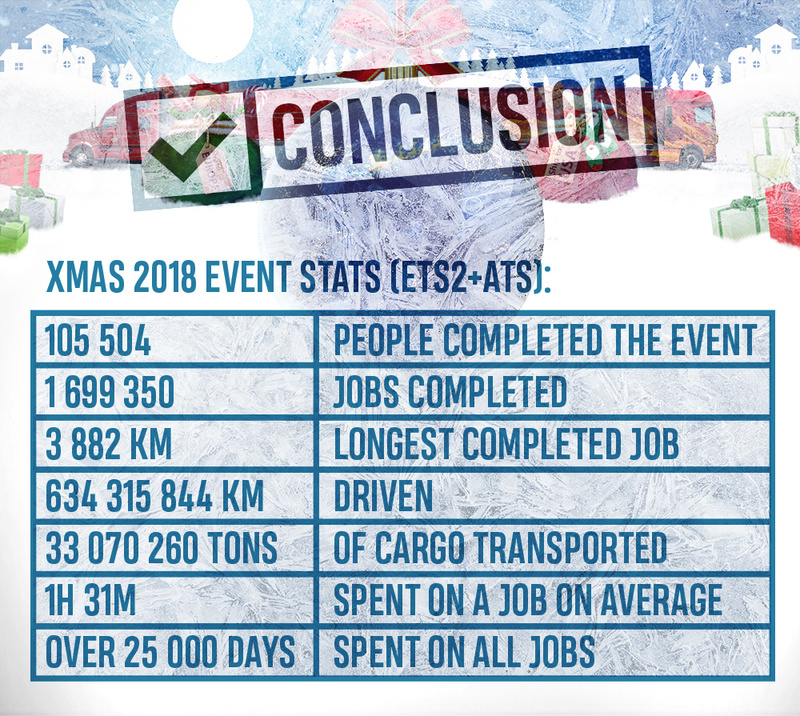 The International Gift Delivery event on World of Trucks saw the community unite to bring much needed assistance to the North Pole and deliver gifts on both sides of Atlantic. A large number of our fans took up the challenge and dedicated their time over the festive period to delivering Christmas cargoes. In the first 48 hours, you had delivered over 250,000 cargoes! People actually noticed quickly that with each 250K milestone, a new hanging tree accessory was granted to players who had reached their personal contributions, which provided another boost to motivation. It's no wonder that you were quick to reach the 1 million cargoes delivered community goal, and went even further. The rate of deliveries completed even had Santa in North Pole shocked! Thank you to every single driver who contributed to the event, and to those who really went the extra mile. It really brings a huge smile to the faces of the SCS team to see how much you enjoy these events.